← Are you satisfied with the efforts made by local (city) government to control Dengue? Today is September 29 and all of the world is celebrating World Heart Day. 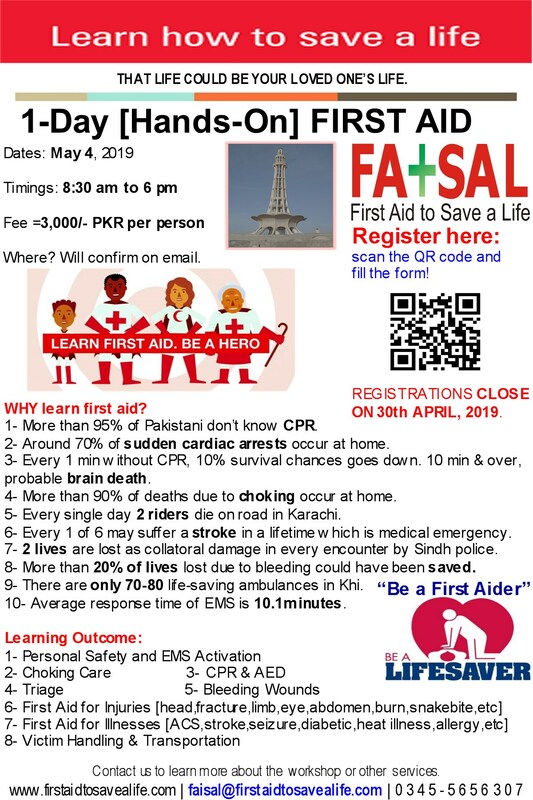 All key heart institutes of Pakistan are celebrating this occasion today and First Aid to Save a Life Pakistan is also celebrating this day and have declared this week as World Heart Week and will continue their this community service for public awareness. This is special post of the week and the only reason is to discuss Million Hearts Campaign on World Heart Day. Million Hearts is an initiative (by USA government and not by Pakistan) to prevent 1 million heart attacks and strokes over the next five years. We can have this sort of campaign in Pakistan but need resources, planning, vision, commitment and support from government, private sector, professionals and civil society to have one such result oriented campaign and we are hopeful that one day we shall be celebrating a very own national level campaign to prevent heart diseases. Noncommunicable diseases (NCD) are the top cause of death worldwide, killing more than 36 million people in 2008, according to a new report released by the World Health Organization. Cardiovascular diseases were responsible for 48 percent of these deaths, cancers 21 percent, chronic respiratory diseases 12 percent, and diabetes 3 percent. We can also achieve this goal by encouraging healthy lifestyle choices and also increasing aspirin use among people at risk, blood pressure and cholesterol control, and smoking cessation. Focusing more clinical attention on heart attack and stroke prevention. Increasing public awareness of how to lead a heart-healthy lifestyle. Increasing the consistent use of high blood pressure and cholesterol medications. We’re all at risk for heart disease and stroke. People of all ages, genders, races, and ethnicities are affected. Many of the people who are at high risk for heart attack or stroke don’t know it. Talking to your doctor about your heart health and getting your blood pressure and cholesterol checked are important first steps to reduce your risk. Many other lifestyle choices—including eating healthy, exercising regularly, and following your doctor’s instructions about your medications can all help protect your heart. Preventing 1 million heart attacks and strokes in the next five years will require the work and commitment to change from all of us. There are steps that each of us can take to reach this goal as a nation. Be one in a Million Hearts and see how your actions can make a positive difference. A Million Hearts begins with you. This entry was posted in Advanced First Aid, Basic First Aid, CPR and AED, Dengue Fever, emergency care and first aid, First Aid, First Aid and CPR, First Aid CPR and AED, First aid for Families, First Aid Tips, First Aid Training Programs, UN Annual Events and tagged Cardiovascular Disease Prevention, heart diseases prevention campaigns in pakistan, how to prevent cardiovascular diseases, million heart campaign, september 29, september 29 2011, sudden cardia arrest prevention, sudden cardiac arrest, what employers can do to prevent heart attacks and heart stroke, what individuals can do to prevent heart attacks and heart stroke, world health organization report on communicable diseases, world heart day campaign. Bookmark the permalink.